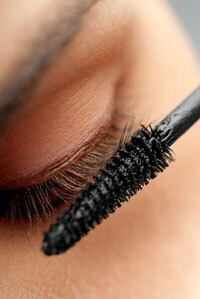 If you're shopping for mascara, it might be a good idea to check the ingredients list for Thimerosal. With the exception of the State of Minnesota in the USA, it is perfectly legal to use this mercury-based preservative (also known as Merthiolate) in mascaras as well as in tattoo inks. Thimerosal is also often used as a preservative in vaccines. Minnesota decided to ban the use of mercury in cosmetics i 2008. Nobody else in the USA has! A Little Mercury Can't Hurt, Can it? A little mercury can and will hurt. The American Contact Dermatitis Society awarded thimerosal the dubious title Allergen of the Year in 2002. Wikipedia describes thimerosal as being "very toxic by inhalation, ingestion, and in contact with skin (EC hazard symbol T+), with a danger of cumulative effects". According to the FDA "Mercury compounds are readily absorbed through the skin on topical application and tend to accumulate in the body. They may cause allergic reactions, skin irritation, or neurotoxic manifestations." The Environmental Working Group writes mercury "is considered particularly toxic to the developing brain during pregnancy, infancy and childhood". The FDA has banned the use of mercury compounds in all cosmetics except those used around the eyes, where levels are limited to 65 parts per million (ppm). The cosmetics industry claims the levels of mercury found in cosmetics pose little risk to human health, but I have to ask, what the heck is it doing there in the first place? Surely we've come further with consumer safety by now? Happily, it seems that thimerosal-using cosmetics companies are not in the majority, but the fact that there are any at all is disturbing to me. Coming across information like this makes me all the more convinced making my own make-up is worth it! Kære Lise...kender du mere til risikoen? Interessant. Tak. Fra det jeg har kunnet finde, er det (heldigvis) et mindretal af firmaer der bruger dette ingrediens i deres mascara. Jeg vil dog stærkt anbefale at man kigger efter det på ingredienslisten når man køber netop mascara, da det øjensynligt er ganske lovligt at bruge. Jeg var temmelig chokeret over dette info, og faldt faktisk tilfældigt over det i forbindelse med noget andet jeg var ved at researche. Wow, this is great information. I can't believe the FDA thinks it's okay to put such harmful chemicals so close to your EYES!! It's scary! Thanks for shedding light on a very important topic. I am definitely going to be checking the ingredients lists of all of my makeups from now on! The LisaLise Discount Solution - So It Begins! Applying Cream - Shall We Slather or Scrimp?